We live on the go, people are active and mobile, but it’s not just people that are mobile, it’s websites too. The average person spends just under two and half hours on their mobile device apps (not talking) and chances are they’ll visit your site on their mobile device if searching for your services or products. If your site is not responsive (mobile friendly), you’re potentially losing customers and profits. The adoption of phones & tablets is tremendously growing and your business needs to grow with it! We live in world of technology which evolves at a very fast pace. Being a business with a digital presence, you can’t afford to ignore a largely adopted digital trend. Use of digital devices like phones, tablets, game consoles, smart TVs and wearable gadgets is growing and your business website needs to be presentable on every device, used by your potential audience. It is more than important for a business with digital presence to be all set with a website that can adapt to any screen size, today or in the future. A responsive website automatically reformats to enhance the user experience regardless of the device it is accessed from. In simple words, responsive web design means making websites that can adapt to the size of the visitor’s viewport. The goal is to offer visitors an optimal experience regardless of the device they are using. Here, the website reconstructs its elements based on the size and capabilities of the device it is accessed from. For an example, on a mobile device, users may see content in a single column view whereas on a tablet the same content in two columns and a desktop four columns. One of the Most Important aspects of Responsive Website – It is GOOGLE RECOMMENDED! Google holds approximately 70% of the search market share. Google refers to "responsive website" as an industry best practice and highly recommends having it to help you gain better search ranking. As of April 2018, Google announced responsive web design to be a ranking factor and has implemented “Mobile First” index. 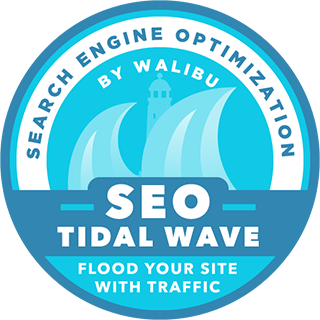 This clearly means any of your competitors with a similar responsively designed website are more likely to outrank you in the search results if you have a non-responsive website. But if you already have a responsive website, you are in line with Google’s ranking factor which is a great advantage to your digital performance. Increase reach to users on smaller devices. Here “User Experience” also plays a very important role, if your customer can access your business website easily on all platforms, they are more likely to return to you for more business in the future which means a higher conversion rate. Improved user experience will translate into a positive perception of your brand which will also add to your stronger brand image. With responsively designed websites now being an industry standard, take a minute to ensure your web design is the best it can be. 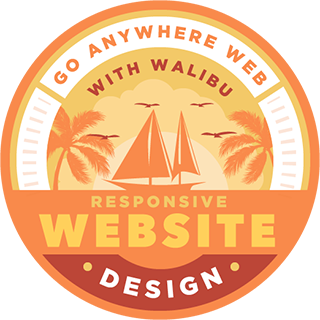 Walibu can help you design, develop and maintain a responsive business website. 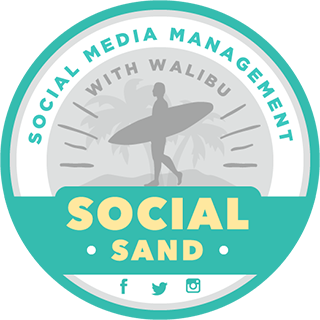 To Get Started email us at team@walibu.com and we will get back to you right away! Feel free to reach out to us if you are interested in improving the online presence of your business. Our passionate and enthusiastic team will be very happy to help you grow your business. If you have any questions about this let us know!